When choosing a web design company, you want to find professionals that will listen to your needs and help you grow your online audience. 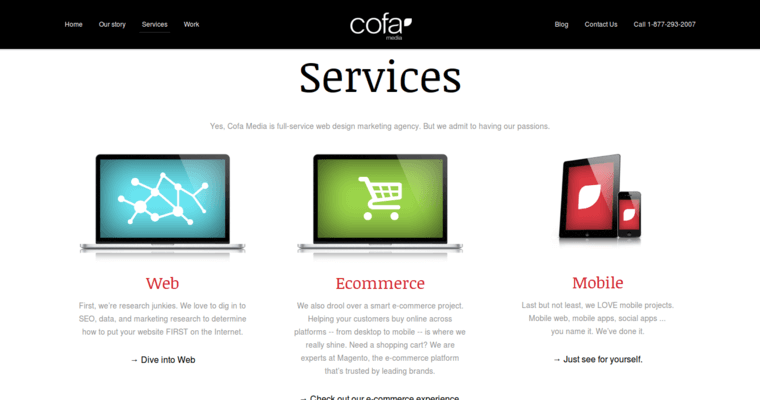 Cofa Media focuses on producing functional web designs that work for you and your business. 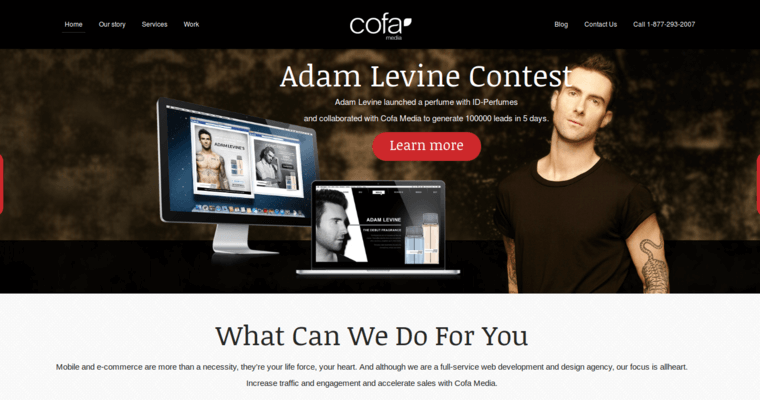 Of course, branding and design play into the equation, but search engine optimization and discoverability remain a top priority at Cofa Media. Designers here focus on drawing an audience to your website as well as on engaging that audience once they arrive. 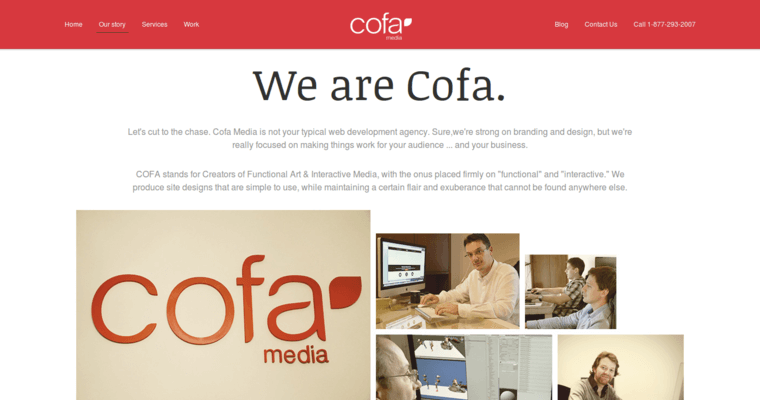 By taking the time to understand your company’s focus, Cofa Media finds ways to get the word out about what you have to offer.